Have you ever wondered how people get their stickers just the shape of the image? We offer digital printing that will do just that. 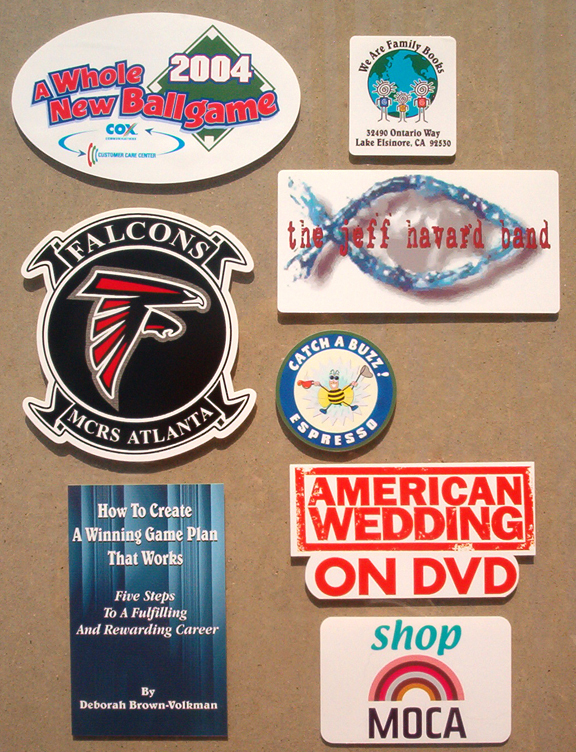 With digital printing, there is no standard die used so it eliminates the need to stay with square or circle stickers You can have your stickers any shape you want them. Digital printing is great for Full Color Outdoor applications. Have your sticker your way! Contact us today to find out more. See more stickers here.